− two = six Required Please enter the correct value. Yahoo Stock Forecast 2016: The Yahoo stock price dropped 34.6% in 2015, and CEO Marissa Mayer is running out of time to boost shareholder value. The YHOO stock price was volatile in 2015, with a 52-week range of $50.41 per share to $27.20 per share. And over the last six months, the YHOO stock price has been on a downward trend, falling 15.43%. The Yahoo stock price in 2016 will depend largely on investors' confidence in CEO Marissa Mayer. But over the last several years, Mayer hasn't earned investors' trust because of multiple questionable acquisitions. One of the most questionable acquisitions was the 2013 purchase of microblogging site Tumblr for $1.1 billion. Tumblr's website states it has 272.2 million blogs and 126.9 billion blog posts. There are 68.6 million daily posts. As of October 2014, Mayer stated that Tumblr had 420 million users. Ben Schachter, an analyst at Macquarie Securities, estimated that Tumblr had roughly $10 million to $15 million in revenue at the time of the acquisition. Schachter told Fortune that Tumblr was "relatively inconsequential." On July 30, Yahoo launched an app called Livetext. The app allows users to see a live video of someone and text them messages, but it does not allow audio. According to fund manager Eric Jackson, Yahoo insiders believed that Livetext was a "Snapchat- and Instagram-killer." But as Jackson pointed out in a 99-page report that suggests Mayer should be fired, Livetext seems to be another misstep. According to analytics provider App Annie, Yahoo Livetext ranked 530th for iPhone downloads on Dec. 28 in the photo and video category. In comparison, Instagram ranked second in that category on Dec. 27, and third for overall app downloads. Since Mayer has been unable to unlock shareholder value, many believe that she should consider a spin-off of Yahoo's stake in Alibaba Group Holding Ltd. (NYSE: BABA). With Alibaba separate from Yahoo's revenue, Mayer would no longer be able to hide behind BABA's earnings. She would have to show that Yahoo is generating revenue growth on its own. Yahoo would receive roughly $29 billion. In 2014, activist investment group Starboard Value LP wanted Mayer to spin off its 15% stake in Alibaba. Yahoo is Starboard's largest holding, according to The Wall Street Journal. Yahoo had submitted a request to spin off Alibaba tax-free, but withdrew its request after the Internal Revenue Service rejected the tax-free plan. Despite the rejection, Yahoo General Counsel Ron Bell said that Yahoo would still consider its options in regards to spinning off Alibaba. You see, Yahoo will incur billions in taxes if Alibaba is spun off. Robert Willens, author of "Taxation of Corporate Capital Transactions," believes that Yahoo would incur $8 billion in taxes if it spun off its shares in BABA. 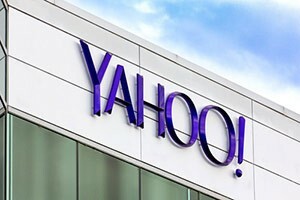 If Yahoo sold its shares of BABA outright, Willens believes that Yahoo would pay $9 billion in taxes. But Money Morning Executive Editor Bill Patalon says there's a bigger reason why Yahoo shouldn't spin off its shares. "I think Mayer should liquidate every part of the company that's not Alibaba – and just turn everything over to the shareholders," Patalon stated. "They can do better with the money – investing it on their own – than Mayer will on their behalf." Even if Yahoo were able to spin off Alibaba tax-free, Mayer has not shown any reason to believe that she can increase value for YHOO shareholders. As we previously stated, her past acquisitions have not added to Yahoo's bottom line. Mayer also just dissolved Yahoo Screen, her answer to YouTube and Netflix Inc. (Nasdaq: NFLX), but not before writing off a $42 million loss in Q3 2015 for original shows. Now YHOO shareholders are stuck in a tough position. Mayer will either hold onto BABA and Yahoo will be forced to make drastic moves internally, or she will spin off Alibaba and incur huge taxes. Despite Yahoo's struggles to innovate, Yahoo Mail and Yahoo News are collectively the third-most visited sites on the Internet in the United States, according to the WSJ. In October 2015, these two sites received a combined total of 210 million visitors. But despite the impressive traffic, Yahoo has reported year-over-year revenue losses since 2012. One of the reasons is that Yahoo was late to adopt a mobile strategy. In the first half of 2015, mobile ad revenue accounted for 88% of Twitter Inc.'s (NYSE: TWTR) total revenue and 74% of Facebook Inc.'s (Nasdaq: FB) total revenue. Mobile ad revenue only accounted for 20% of Yahoo's total revenue. Enrique Munoz Torres, a former Senior Product Manager at Alphabet Inc. (Nasdaq: GOOGL), leads the project to improve Yahoo's mobile search applications. But the project reportedly won't be finished until 2017. According to Jackson's report, this project is going to cost Yahoo shareholders another $1.5 billion. Activist investors like Carl Icahn have urged Yahoo to sell its Internet business since 2008, but a company would have to have a very specific reason as to why it would acquire Yahoo. Icahn wanted Yahoo to sell to Microsoft Corp. (Nasdaq: MSFT) in 2008, but a deal never materialized. Starboard wanted Mayer to consider a merger with AOL, but Verizon Communications Inc. (NYSE: VZ) purchased AOL a few months after the suggestion. Mayer stated in October that she has a plan to reset the company's focus, but in typical fashion, she has not provided details for specifics. And even if Mayer does sell off Yahoo's Internet business, she may not be able to find a buyer. So far in 2016, the YHOO stock price is down 8.47%. The Bottom Line: The YHOO stock price is already falling in the first week of trading in 2016, and we don't expect a rebound. With a lack of innovation and questionable decisions by CEO Marissa Mayer, there are no positive catalysts for revenue growth. The Yahoo stock price will continue to fall unless Yahoo improves its decision-making process.